The biggest Subaru ever might just be the best Subaru ever as well. The all-new 2019 Ascent delivers three rows of seating, premium interior materials, a new direct-injection, turbocharged engine, and more cup holders than you could possibly imagine. Although they’re not quite on sale yet, you can be sure to see one at the 2018 Twin Cities Auto Show. 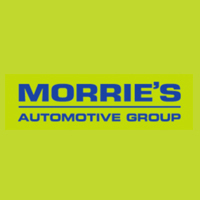 Just make sure to register with Morrie’s Brooklyn Park Subaru or Morrie’s Minnetonka Subaru for a free pair of tickets to the show first!